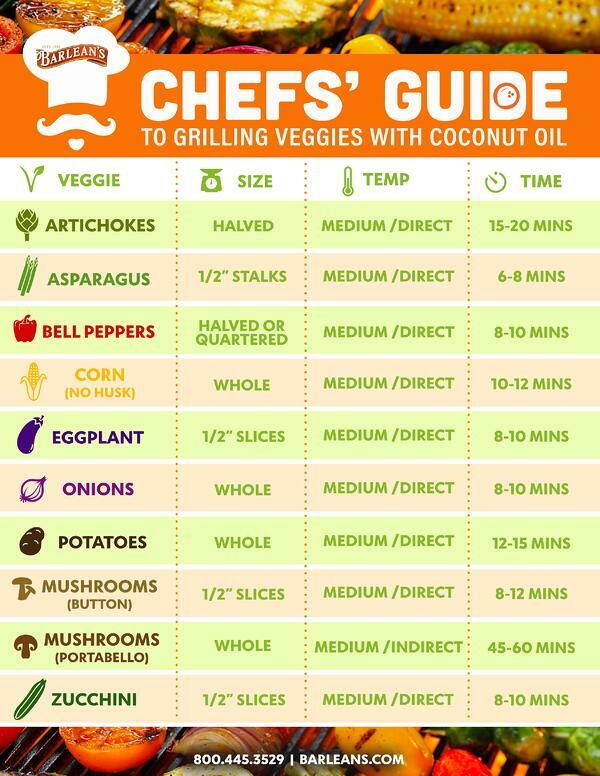 Summer is officially here and we've got something special to share - our guide to grilling vegetables with coconut oil! Coconut oil has a high smoke point (325-375 ˚F), so it's perfect for healthy grilling. Just brush fresh vegetables with melted coconut oil, apply your favorite seasonings, put them on the grill and enjoy! Click the button below to download your printable PDF.